Anne Marie Arndt is the owner of 24 25 creative, LLC and works with clients to bridge strategy and design through branding, marketing, and communications support. Her current clients include organizations in education, youth development, and those that positively impact the community. With dregrees in mass communication and journalism, arts education, and technology integration, she collaborated to create a successful brand for a nationally recognized school, developed and implemented quality media and visual arts programs, and successfully managed projects. As a former teacher, Arndt is drawn to Breakthrough’s mission. She believes that providing opportunities for youth to show their brilliance is essential, and that brilliance is cultivated by quality, committed, and culturally responsive educators. Arndt concludes that through fulfillment of both sides of the mission, our greater community will be better off and our youth will be guided by their success and limitless potential. 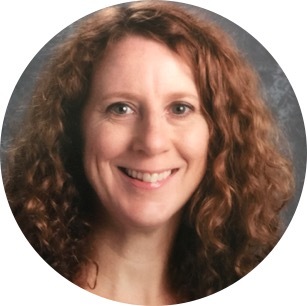 Arndt has a Master of Arts in Education from Hamline University (St. Paul), a Bachelor of Science from the University of Minnesota (Twin Cities), and a Bachelor of Arts from Drake University (Des Moines). Arndt joined the Breakthrough Twin Cities Board of Directors in 2017.